OptiSafe™ is an in vitro screening test method in which a test substance is applied to a semi-permeable membrane. Damage to macromolecules in the membrane is measured to assess the test substance’s potential to cause eye irritation. OptiSafe™ can be used to determine the irritation potential of cosmetics, creams, and a wide variety of consumer products. According to the kit manufacturer, results can be presented as GHS, EPA classifications, an ocular irritation score and class. NICEATM reviewed a validation study conducted by the OptiSafe™ test method developer, Lebrun Labs, and concluded that the study data indicated that the OptiSafe™ method compared favorably to other in vitro ocular toxicity testing methods. NICEATM is currently coordinating a validation study of the OptiSafe™ test method to demonstrate the reproducibility of the method among Lebrun Labs and two naïve laboratories. The study received support from an NIEHS Small Business Innovation Research grant. The study is ongoing and is expected to be completed in mid-2018. GLP Toxicity Testing for pesticides and chemicals. 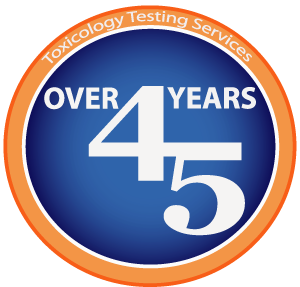 Your Expert Source for in vitro & Alternatives Toxicology Testing. ©2017 MB Research Laboratories. All Rights Reserved. OptiSafe™ is a trademark of Lebrun Labs, LLC and used here with permission.